← Connect with us to win age-defying skincare! Does beauty come with a price? It certainly doesn’t have to. Let me share with you the ‘beauty’ of Jordana Cosmetics. It is a collection of high quality, trend-setting makeup that isn’t expensive at all. How about that? – great stuff that won’t break the bank. 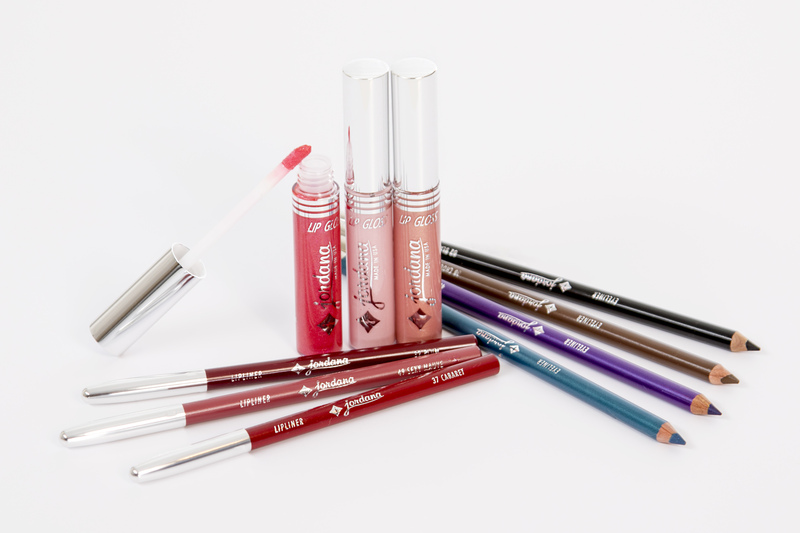 Experiment with color – Jordana Cosmetics. What I love about this line besides the price is the selection of colors. Take, for example, the Eyeliner Pencil. It comes in 9 eye-popping shades. And at under 5 bucks each, you can buy a few and experiment with them. They are smudge-proof, too, and glide on lashlines with ease. Try the white pencil for a cool, highlighted look. Emphasize your eyes even more with mascara. I like the Best Lash Extreme Volumizing Mascara. It instantly adds volume to lashes, stays put all day, and washes off in a snap (and hey, it’s only $5.95!). Take it all off each night with Jordana Eye Makeup Remover – it’s gentle and super effective, and oil- and fragrance-free. Looking for a lip gloss that has some staying power but isn’t sticky? Your search is over. Jordana Lip Gloss looks and feels awesome. There are 5 colors including clear, to choose from. Pick the one you like best, or better yet, try them all! My fave is Sunset Kiss; I think it compliments any skin tone beautifully. Go ahead and fill your makeup bag with new colors and shades. At a fraction of the price of department store brands, you can try just about anything…and everything! What is your favorite Jordana item? Let me know in the comments. This entry was posted in beauty, Beauty Tips, makeup and tagged eyeliner, lip gloss, mascara. Bookmark the permalink.